In the competitive and fast-paced real estate industry, Kathy builds relationships based on trust and her ability to deliver customer service excellence. With more than a decade of experience in the industry and a total focus on client satisfaction, Kathy’s everyday interactions are infused with warmth, energy and transparency. Underpinning Kathy’s success is a commitment to first-class communication throughout the sales process. Kathy’s driving motivation and passion is to ensure that her clients achieve their goals. Hard work, determination and a genuine empathy for the needs of buyers and sellers, combined with precise attention to detail translates to an ability to match a property to the requirements of a buyer. There is nothing more satisfying for Kathy than a transaction where all parties are thrilled with both the experience and outcome. Kathy was raised and still resides in Boroondara, therefore she has exceptional local knowledge and a fondness for its trademark leafy streetscapes, vibrant café scene, schools and beautiful parks and gardens. Spending her leisure time with her husband and three adult children are the truly precious moments in Kathy’s life; she also loves to travel and is an avid supporter of Richmond Football Club. When deciding to sell our home at 34 Edgevale Road, Kew we searched online for a number of successful and reputable agents who specialised in our area. Kathy Malcolm was one of three agents with which we met and we subsequently made the decision to sell our home with Kathy. She was honest, relatable and extremely professional. Kathy has extensive experience in the sale of homes in Kew and surrounding suburbs and provided multiple recent and relevant case studies. Her insights around property values, marketing campaigns and the likely buyers turned out to be completely accurate. Our campaign not only ran as planned, but Kathy also added value through additional social profile pieces and arranging for the Domain coffee cart to be present on auction morning. And most importantly, our house sold at auction at a price within the range Kathy she had advised with 5 bidders. From the beginning, Kathy made us feel confident she would work hard to help us get the best possible price for our home and up to and post sale has delivered on every single commitment. I would highly recommend Kathy Malcolm to sell your home. My wife and I are happy to provide a reference for Kath Malcolm and the team at Marshall White. Possibly one of our biggest life decisions was selling our family home of 23 years. We felt absolutely secure in the service, advice and result that Kath delivered. At every step we were accurately and professionally advised and our expectations managed. A respected personal friend introduced us to Kath and we continue to be thankful that they did. We have no hesitation in recommending Kath due to her attention to detail and her complete dedication and involvement in the whole sale process. We had the absolute pleasure and good fortune of being referred by a friend to Kath Malcolm at Marshall White Hawthorn when we were looking to sell our house of 19 years in Kew. Kath has that rare ability to be genuinely charming and personable while at the same time being fully knowledgeable and professional about the real estate market, process, and the best approach to take. She provided practical advice about getting the place ready for sale, and suggested people who could help us prepare for sale (recommendations we took and were very pleased with the results). She understood the impact on us, particularly the open for inspections, and was very accommodating to meet our needs. She always responded to texts or emails quickly, even after our house was sold. We were very confident leaving our home in her capable hands when vacating for open for inspections, or private inspections. Every commitment was met; every arrangement was thoroughly completed. We received detailed comments from Kath after each open for inspection. When an offer to purchase prior to auction was made, she outlined the various options open to us but let us make the final decision of which way to proceed. We were very pleased with the outcome achieved. We strongly recommend Kath Malcolm to anyone looking to sell their property. We recently purchased our family home through Marshall White. We spent nearly 12 months looking for our ideal property, coming into contact with a variety of real estate agencies and agents. 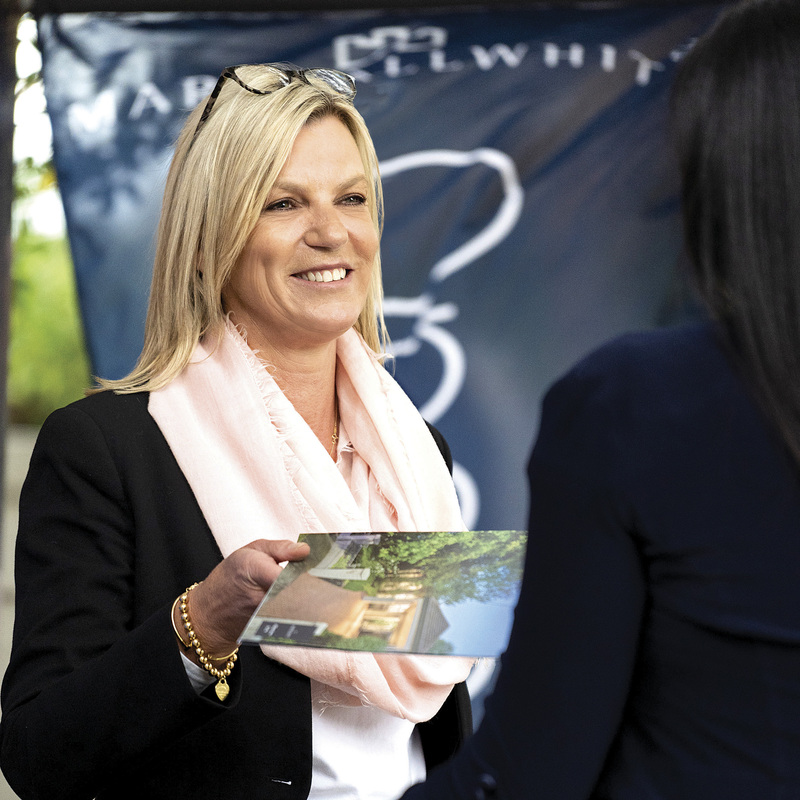 During our property search Kathy Malcolm stood out from the crowd by taking the time to understand our needs and by providing honest advice and insight into the market. She is professional, responsive and above all extremely personable. We would be delighted to recommend her services to other buyers and sellers looking to make a property transaction in the future. A short note to thank you for your professional and sensitive approach following the recent sale of my late mother's home. Though we had not met you prior to inviting agents to tender for this sale, as the executors and children of the deceased, we were struck by your understanding of what it means to sell a deceased family home. We were particularly impressed that you provided details of a women's refuge centre if we were unable to dispose of any of our mother's furniture, the only agent to give us this sort of information. It told us that you were someone who cared about people, and that you would care about getting us the best outcome. Your constant communication updates and willingness to meet prospective buyers at any time they requested was impressive. On auction day your team was totally prepared. To be able to combine skilled sales expertise, market knowledge and a sincere approach in such a competitive industry is special. We were not surprised that you delivered us such an outstanding result. Kath Malcom sold our Kew house in early 2017. We are very pleased to provide a recommendation. We first met Kath at an open home. She promptly engaged us in a conversation about our needs and requirements. This contrasted with other agents who seemed much more focused on what properties they had on offer. We set our agents a difficult task heading by overseas for a month just days after appointing them, but the Marshall White marketing process is very well organised and easy to work with. The advertising was targeted and cost effective as far as we could judge. We were well informed through the campaign, and by auction day had a pretty good idea of what to expect. The decluttering and house presentation took a lot more time and effort than we imagined. We received good advice from Kath on preparing the house for sale, and their trades contacts, stylist and photographers all did a terrific job in presenting our house to its full potential Auction day was a lovely warm autumn morning. Antony Woodley generated energy and vibe with multiple bidders and onlookers. He could not have worked harder to achieve the result we wanted, as did Kath and Caitlin out in the crowd. We can recommend Kath as a hard working and very professional, backed by a terrific organisational capacity. Thank you!